Omega Constellation Collectors: Omega Constellation Model 2699 - Star of the Month! Omega Constellation Model 2699 - Star of the Month! The first true Pie Pans in the Omega Constellation range appeared simultaneously in late 1952 in cases 2699 and 2700, the screw-in and press-in variations of the same case style. Case 2699 was introduced as a De Luxe version of the Constellation and remained in this form until replaced by case 2799 in 1956. It featured a screw-in case back over an “O” ring and a hermetic sealing system at the crown, offering water resistance to 30 metres. The “water-proof” 2699 was released in limited quantities as an option to the non water-proof 2700, and today good examples of this model are uncommon to say the least. Powered by the near-indestructible calibre 354, the polished pie pan facets of the solid eighteen karat dial contrasting with a brushed flat surface and gold arrow-head markers caused a sensation in watch circles at the time. Even today this beautifully designed piece radiates a restrained luxury rarely achieved in more contemporary watches. This model, along with the 2700, also featured in limited edition the famous observatory cloisonne dial. This month’s Star of the Month, belonging to collector RonnieS, is in remarkable condition. Note the sharp lines of the double-angled bezel, the lack of dings in the case and the preserved lines of the lugs. Observe the perfectly conserved original dial and the excellent condition of the movement. The dial on this model has what is known as “First Design Phase” livery. Note the applied gold Omega symbol, but printed Omega logo: on later dials the logo was applied. The upper case lettering was not serif font and did not conform fully to the MOY test that can be applied on later Constellation models. Also the Constellation lettering is of the earliest style, the most notable feature of which is that both Ts are fully crossed. The minute and sweep just over-reach the chapter ring, thus completing the authenticity checklist. These known features of the 2699 are very important to confirm so as to be confident of acquiring a fully factory specified example. 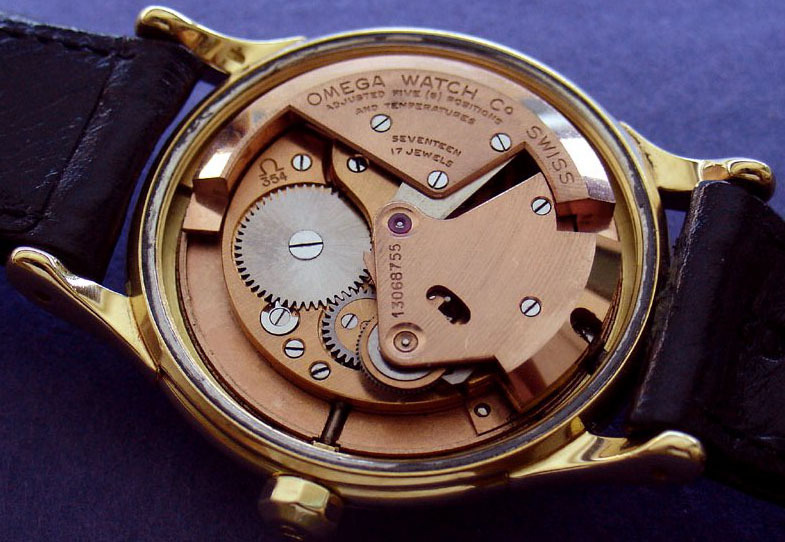 Case 2699 is not currently listed in the Omega vintage database, and this may deter some on-line buyers or lead to suspicions about legitimacy. Consequently, Constellations like this example can often fly under the radar and represent rich pickings. The model featured here was obtained for more than a thousand dollars under internet market value – a fitting reward for collectors who take the trouble to do their homework. Click on any of the pictures for enlarged views. Very elegant watch . I like the style and being water proof. You are lucky indeed Anthony, as the 2699 is not a common piece. Congratulations! There are two 2699 (Items no.161946905189 and 131602606235) on eBay at the moment with 'Officially Certified' still included. Any comments please ? Case parts supplies for this model have long gone Anthony, and the only option these days is to trawl the internet in the hope of finding one, either as part of a case or separately. If you also log in with all the known gold scrap buyers in your state/country you could also jag one at the right moment. I am a long-term collector of vintage Omega watches with a passion for Omega Constellations of the fifties and sixties. This blog is offered as an educational resource for potential and existing collectors who wish to learn more about the brand and avoid the traps and pitfalls of buying in a global market. Omega Constellation Gold Capped Models - What are they? What is a 'Rare' Omega Constellation? 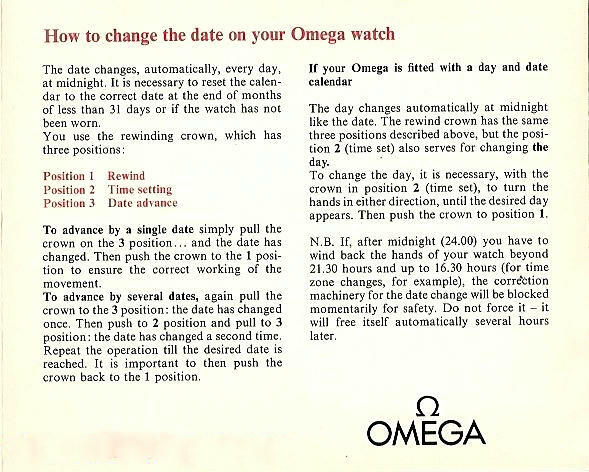 What Makes an Omega Constellation Chronometer So Special? Why choose to collect Omega Constellations? (c) DPG 2006-Onwards. permission is withheld for any material to be hosted on other sites. Theme images by sololos. Powered by Blogger.